Voster Muchenje holds a PhD in Meat Science. 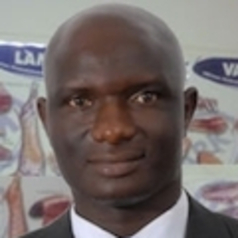 He is a research professor (meat science and food security) and an NRF rated meat scientist. He is also the co-host of the NRF SARChI Chair in Meat Science, Genomics to Nutriomics. Voster is a board member and regular reviewer for several high impact international journals. He is a South African Society for Animal Science (SASAS) council member and the American Meat Science Association (AMSA) ordinary member. He is a recipient of the SASAS President’s award for exceptional contribution to animal science and livestock industry (2012), the UFH VC's Senior Researcher (2014) and Emerging Researcher (2009) Awards. He is a founding member of the South African Young Academy of Science (SAYAS) and is also currently its Co-Chair.